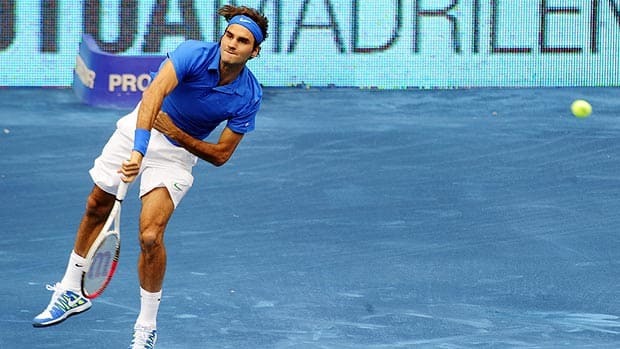 Roger Federer was at his varietal best against Janko Tipsarevic in the Madrid semifinals, winning 62 63 in a dominating performance. With a title win in the finals, Federer will regain the #2 ranking from Rafael Nadal, although holding it heading into the French Open will depend on what happens in Rome should that happen. Tipsarevic had been playing well all week, but he could not handle what Federer was throwing at him - the slices, drop shots, off-speed angled loopers - basically everything that makes Federer the most varied player in the history of the game. Roger did not drop serve and only faced one break point. He has not been broken since the first set of the tournament - 8 straight sets now of holds. When he's serving that well, he is one hard player to beat. Does this shot go in? Hard to tell. Tomas Berdych posted a 76(5) 76(6) win over Juan Martin del Potro, giving the Argentine his first clay court loss of the year. The Czech has been hot all week long and has not dropped a set. 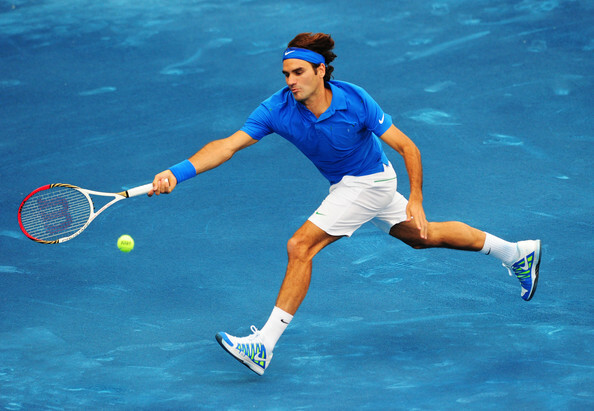 The blue clay obviously suits his big-hitting game and he should be Federer's greatest test of the week. The match for the title should be very closely contested and I imagine it will be similar to that of Roger's first match of the week with Raonic - great serving, short points, and attacking tennis. Berdych is well armed and extremely dangerous and if he gets on a roll, Roger will need to be at his very best to stop him. On the other hand, Berdych is a big man, and Roger does well against big men in maneuvering them around the court and making them feel uncomfortable. He will likely use the same tactics he uses against del Potro, who he's beaten four times in 2012 already. Federer has been serving supremely well all week long. Here's hoping Roger will showcase his best tennis and pick up his 4th title of the season, his 20th Masters, and his 74th career title, as well as the #2 ranking. He will need to be as sharp as he has been all week (and maybe even more) but I am confident he can do it. Gaining the #2 ranking would be a sort of culmination of all the hard work he has put in since the US Open to improve his game, and it would be very rewarding.